Bargain Quest is a game of adventure and capitalism. Do you have what it takes to be the best shop in town? You and your friends will take on the role of shopkeepers in an RPG town plagued by monsters. You must draft item cards to stock your shelves and arrange your displays to attract the wealthiest heroes to your shop. The Black Market Expansion brings Bargain Quest to the seedy criminal underworld. With new heroes like the Shaman, and the Bravo, along with cunning employees like the Loan Shark and the Henchman. It's a dangerous town, and you'll have to use all of your cunning and wits if you mean to make a profit out here! This is an expansion for Bargain Quest. Expand your options with this pack of 13 new Heroes and 9 new employees! This expansion features Guest Art from some amazing illustrators, including: Scott Kurtz, Yuko Ota, Brian Kesinger, Tyson Hesse, and many more! 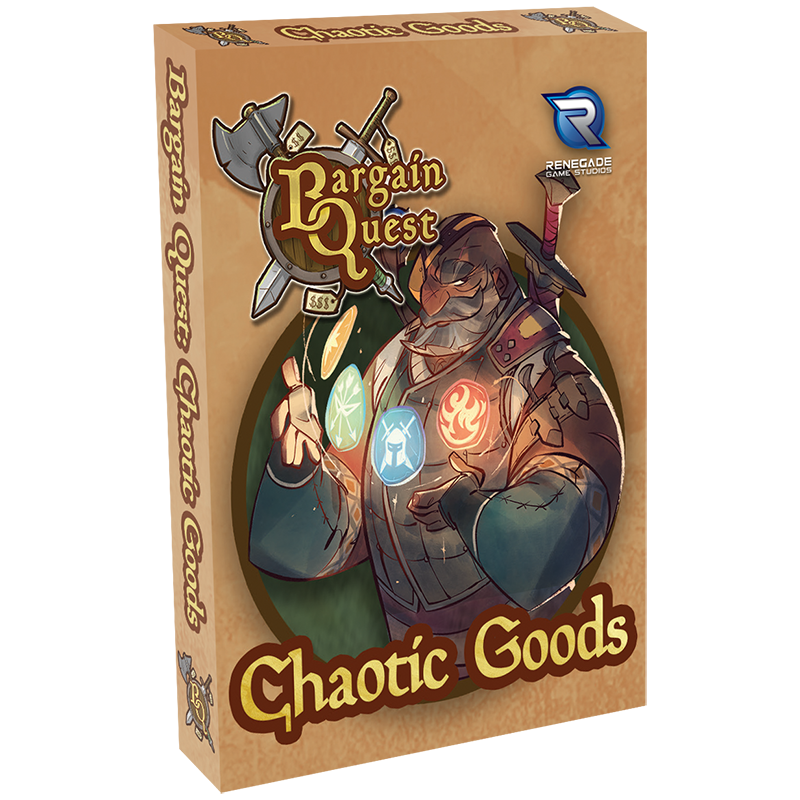 This pack introduces rules and cards that allow Bargain Quest to be played solo! This bonus pack adds new cards featuring the iconic heroes and items from the classic webcomic by Brian Clevinger - 8-Bit Theater! This bonus pack contains new cards featuring characters and items from Penny Arcade's amazing world of Acquisitions Incorporated! This bonus pack adds new cards featuring characters from the hit webcomic series Table Titans!